Corrections: From Research, to Policy, to Practice offers students a 21st-century look into the treatment and rehabilitative themes that drive modern-day corrections. 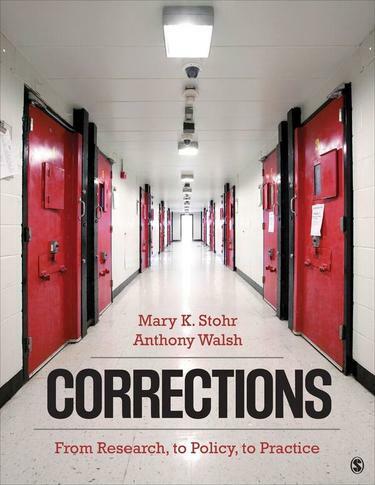 Written by two academic scholars and former practitioners, Mary K. Stohr and Anthony Walsh, this book provides students with a comprehensive and practical understanding of corrections, as well as coverage of often-overlooked topics like ethics, comparative corrections, offender classification and assessment, treatment modalities, and specialty courts. This text expertly weaves together research, policy, and practice, enabling students to walk away with a foundational understanding of effective punishment and treatment strategies for offenders in U.S. correctional institutions.